The first survey of Newtown Creek was completed by Dutch explorers in 1613-1614, and the Dutch acquired the area from the local Mespatches tribe shortly thereafter. 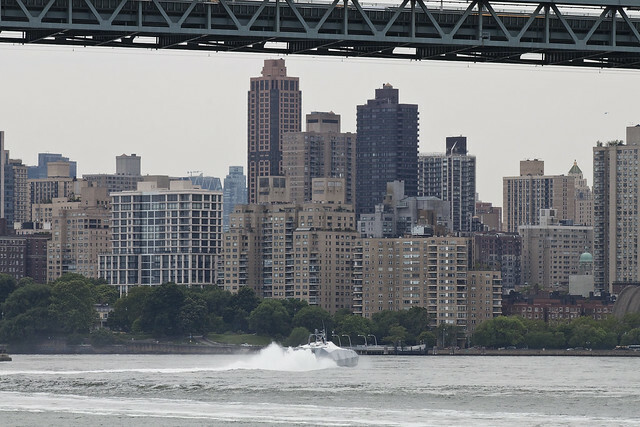 Initially, the Newtown Creek area was used primarily for agriculture, but following the Revolutionary War, it became industrialized with glue and tin factories, rope works, tanneries, and the Sampson Oil Cloth Factory operating along Newtown Creek and its tributaries. 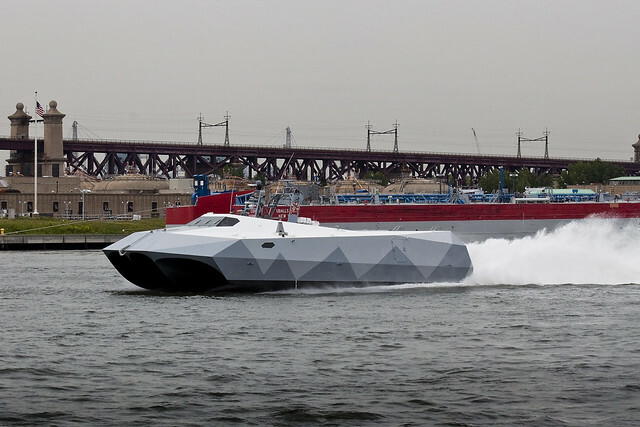 There was a shift to shipbuilding in the Pre-Civil War Period. Following the Civil War, textile manufacturing and oil refining replaced shipbuilding along Newtown Creek and its tributaries. 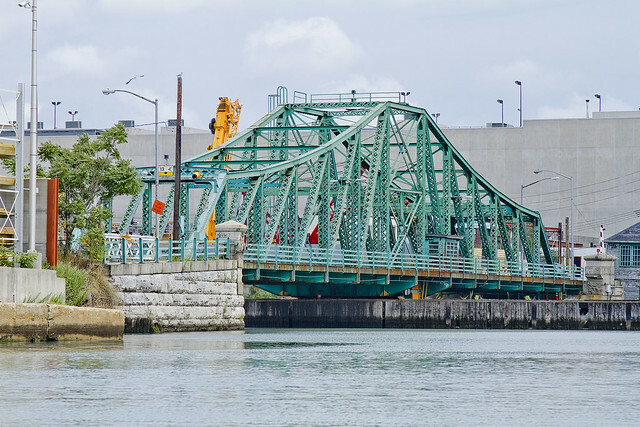 It has been established, circumstantially, that the accident which claimed Gilman was definitively in Blissville, and happened westward of Penny Bridge but east of the Greenpoint Avenue crossing. 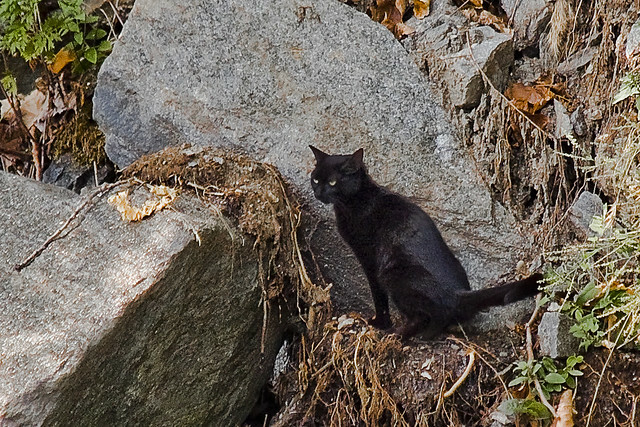 Additionally, disturbing intonations that the packs of feral dogs which were contemporaneously described as endemic to the area avoided the cadaver, but that the local rodent population did not find itself constrained from feasting. The burial place for the Catholic dead of the great city now required, apparently, a vast extent of ground. The little plot around St. Peter’s Church had been the first, but a nook in Trinity Church yard held, and still holds, some Catholic dead. 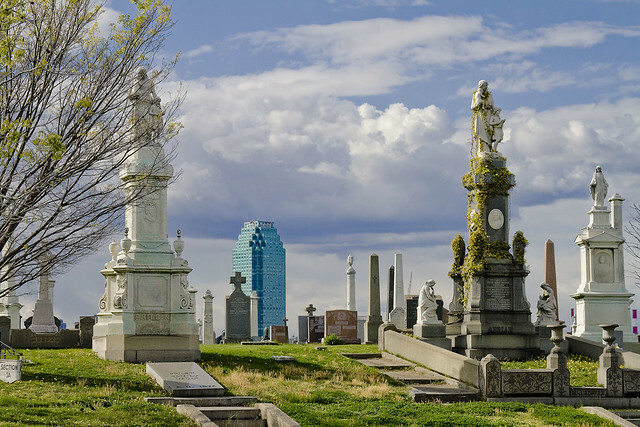 Then the ground around St. Patrick’s Cathedral was used, and in time a cemetery was purchased on Eleventh Street. These had all proved insufficient. Bishop Hughes looked beyond the limits of the city for a spot not likely to be reached for many years by the rapid growth of population, yet comparatively easy of access. Thirty acres of the Alsop farm, on Newtown Creek, Long Island, were purchased, and the ground was solemnly blessed by Rt. Rev. Bishop Hughes, as Calvary Cemetery, July 27, 1848, and in a few days the first interment took place. The cemetery has been enlarged by subsequent purchases, till it now contains more than a hundred acres. Problematic in locating even a general area to search within, for the obsequious and gauche monument which the eponymous Capt. Marsh installed within the cemetery in remembrance of the fallen Gilman would have been in one of the so called “poor sections” of the polyandrion. Imagine, the sheer volume of dead bodies shipped out from Manhattan in that era, reported at the time as nearly one hundred on an average day (and far higher in times of fever, plague, and riot). These poor, or charity, sections saw hundreds of interments per week. Could it be possible that the monument to Gilman actually adorned his own grave, or that it might somehow still exist within the walls of Calvary? Life in the tenements in July and August spells death to an army of little ones whom the doctor’s skill is powerless to save. When the white badge of mourning flutters from every second door, sleepless mothers walk the streets in the gray of the early dawn, trying to stir a cooling breeze to fan the brow of the sick baby. There is no sadder sight than this patient devotion striving against fearfully hopeless odds. Fifty “summer doctors,” especially trained to this work, are then sent into the tenements by the Board of Health, with free advice and medicine for the poor. Devoted women follow in their track with care and nursing for the sick. 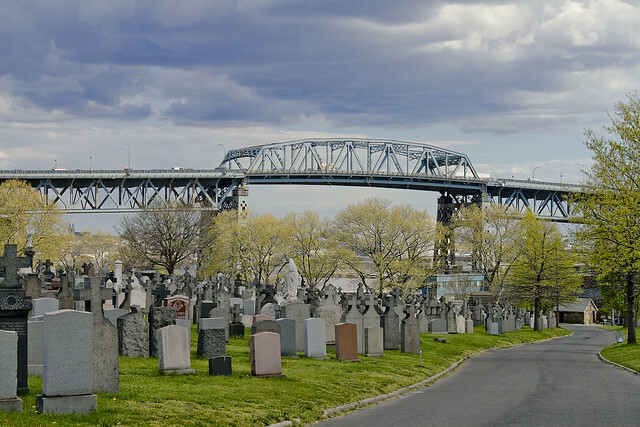 Fresh-air excursions run daily out of New York on land and water; but despite all efforts the grave-diggers in Calvary work over-time, and little coffins are stacked mountain – high on the deck of the Charity Commissioners’ boat when it makes its semi-weekly trips to the city cemetery. Daidalos was actually stumped when the photos arrived, and neither of us could make any sense of the only marking- a string of tiny numbers on the hull- of this unidentified floating object. 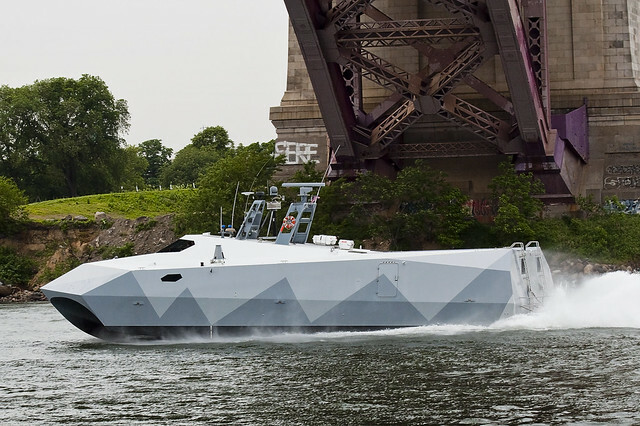 High flying, Icaros received the shots from the latter, and contacted high ranking members of a certain governmental entity. 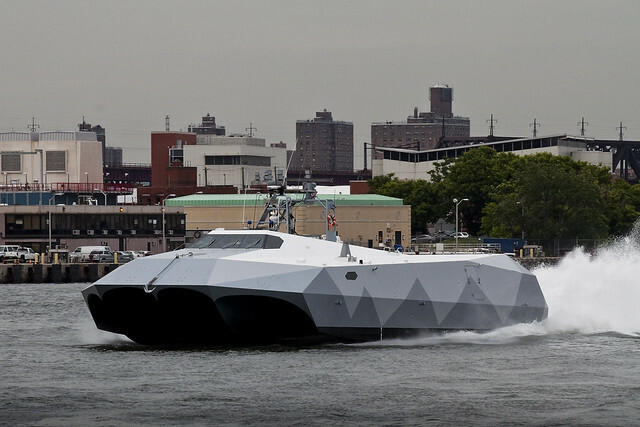 This entity-let’s just say that they have lots of boats and planes, and boats that are airports, and boats that carry nuclear missiles and stay underwater for months at a time, and a lot of the people who work for it wear white dress uniforms– claimed the ship as theirs! The never ending cacophony that is known to gentry and commoner alike as Astoria Queens often manifests physically. 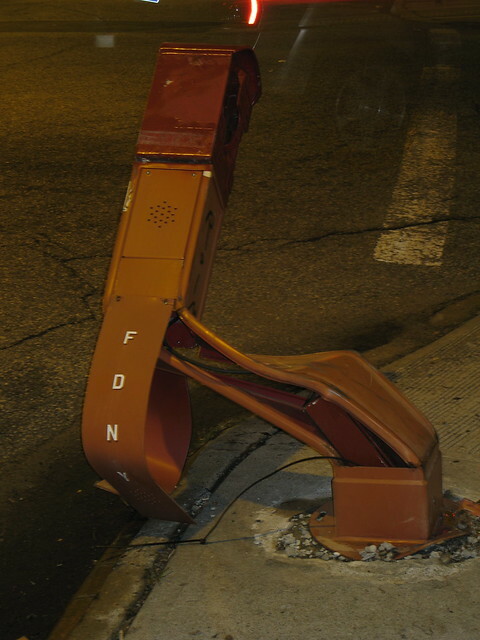 Boundless, the furious tumult and enthusiast spectacle of urban youth often results in the wholescale destruction of street furniture, automobiles, and sometimes- lives. Pity this servant of the public good on 36th avenue, a victim of whim and inattention. 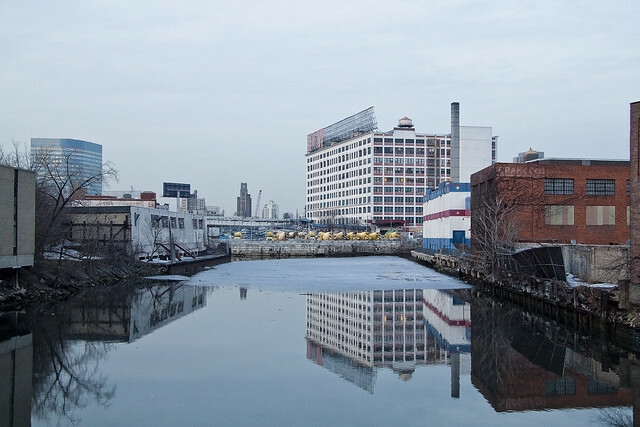 It would be nice to own a piece of Newtown Creek real estate, don’t you think? I know this sounds like an odd dream of mine, but I’d really love to buy some waterfront parcel were I financially capable. The whole lot would be fairly feral after a short time, of course, except for the teams of archaeologists I’d invite to dig there for treasure. Captain Kidd is supposed to have buried a chest of pirate booty somewhere on the Brooklyn side, don’t you know? The creek is the receptacle for all the refuse from the sewers, factories, and slaughter-houses of the east of Brooklyn; constant deposits are therefore forming in it, especially at the upper end, from these causes and from the caving in of the unprotected banks, which consist of marsh mud. To remedy this difficulty, annual dredging will be needed until the banks are protected by bulkheads throughout their whole length. The commerce of the creek is so large that this improvement should be pushed at least 3 mile.s up from the mouth as soon as possible, so that vessels drawing 20 to 23 feet may pass in and out of the creek with full cargoes at or near low water. Wouldn’t live there, of course, but there would be a public dock. Assuming that a multi million dollar property like this was within my reach, I’d probably have enough left over for one of those flat bottom boats with the big propellor on the back that they use in the swamps of Florida and Louisiana to hunt gators. Of course, I can’t afford the nice zoom lens that I covet, and that’s just a couple thousand, so I can just forget about owning a valuable industrial bulkhead. The last people who let this land go cheap were the aboriginal Lenape, and they were largely wiped out by Smallpox by the 1680’s. It’s a stupid aspiration, and even dumber to think that I’d just let scholars “have at the place”. What could possibly be learned by turning over a few shovels of dirt in this place, where the only tale to tell is about a certain oil spill or endemic pollution? What else has ever happened here? On September 15, 1776, General Lord Howe decided to attack Manhattan Island. He ordered three Ships of War to sail up the North River and get the American’s attention while he launched his entire First Division in flatboats against Kips Bay. The flatboats were embarked from the head of Newtown Creek as General Lord Howe and General Warren watched from the Sackett-Clinton House (later Gov. DeWitt Clinton’s mansion) in Maspeth. The Americans on Manhattan Island under General George Washington made their retreat to Harlem and escaped the British attack. 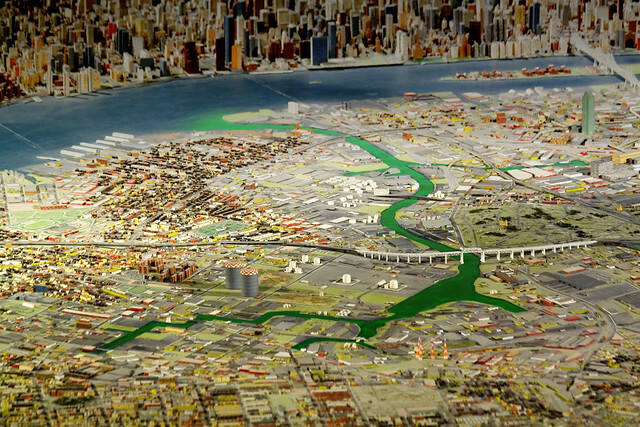 Can you imagine how cool it would be to restore just a single section of the Newtown Creek to its natural state? To see the salt marsh grasses rippling in the wind, and stout trees sprouting, beneath the golden rays of the burning thermonuclear eye of god itself? What could possibly go wrong with that? Lieutenant Schwatka’s experience with mosquitoes reminds me. Years ago I crossed the Newtown salt meadows on a horse car. 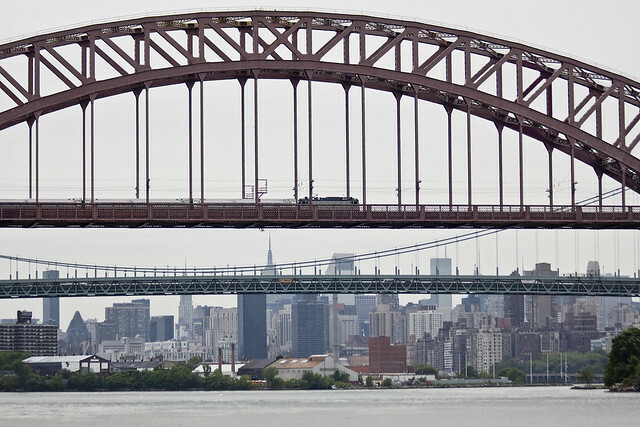 It was from a point where Williamsburg left off and Newtown then called Maspeth began. Both are now included in Greater New York. The sun had set and in the twilight from the surface of the meadows could be seen innumerable coils of smoke each one as clearly defined and separate as if emanating from the dying embers of a redman’s camp fire. First would the dark mass of smoke leave the ground in a slender spiral thread to broaden out as it ascended keeping up the spiral twining of the cloud. This phenomenon could be seen upon the entire stretch of meadow ahead of us. It was a curious and interesting sight to watch those thousands of small camp fires giving forth their spiral canopies of smoke. The air had been still and quiet and the smoke ascended slowly and gracefully from the grass. Suddenly a gust of wind passed over the meadows blowing toward us and instantly the spiral harmony of the situation was changed into a grayish atmosphere and as it reached the open car in which I sat a realization that we were looking at spiral clouds of mosquitoes arising from the grass instead of smoke was forcibly thrust upon myself and the well filled car of passengers. The woodwork of the car the inside of the roof the backs of the seats the hats and clothing of the passengers instantly assumed a dark gray color. The horses were covered from head to foot and became almost unmanageable The car became as some one once remarked all bustle and confusion. While the passengers with handkerchiefs whipped the mosquitoes from their necks and faces the driver urged the frantic horses to their utmost speed and after a race of about ten minutes we emerged from the meadows and spent the remainder of the trip gradually getting rid of the mosquitoes that were traveling in our car. The last few weeks have seen your humble narrator not so humbly leading groups of enthusiasts around the Newtown Creek on walking tours. This is a tremendous exertion for one such as myself, for to be seen by so many diminishes me. Unfortunately, a lot of the places I’d really like to show off are remotely located, with limited if any access. One of these spots is Maspeth Creek. 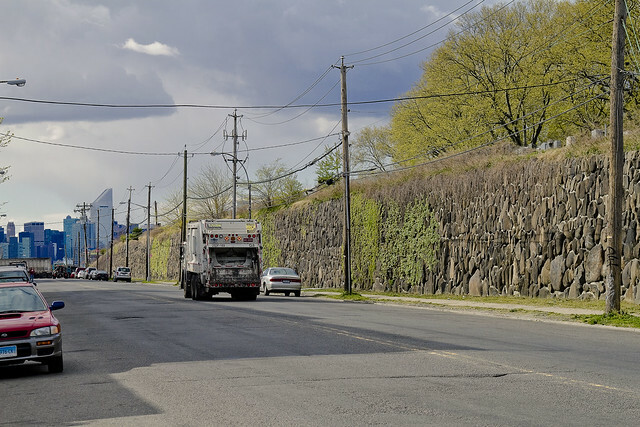 Once a major tributary, and now quite minor, Maspeth Creek has been largely abandoned by industry. 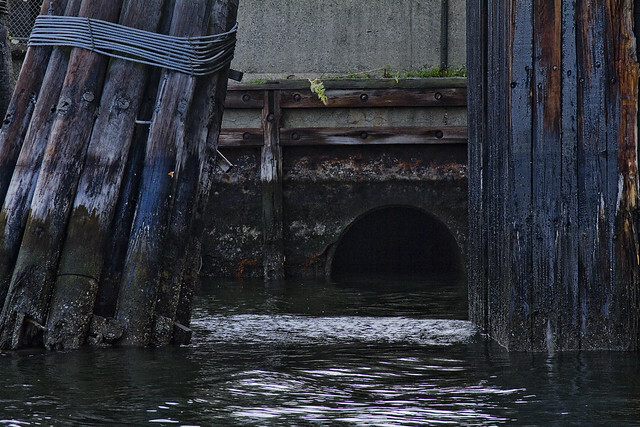 It’s depth is shallow, and is beset by an enormous CSO (Combined Sewer Outfall) at its terminus. 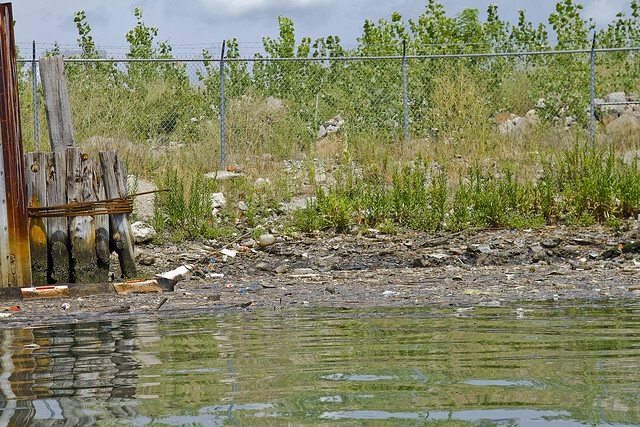 A “floatables boom” cuts it off from the main body of the Newtown Creek and causes great amalgamations of trash to agglutinate in shallows and along its banks. Somehow, despite the endemic pollution in the sediments and mud and the constant flow of sewage, nature has begun to take the waterway back unto itself. 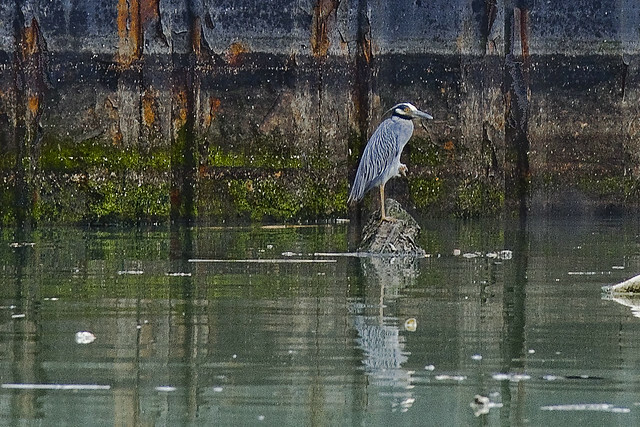 My understanding is that the sediments here are teeming with invertebrates, worms and crabs and the like, which draw in exotic fauna like the Cormorants in the first shot and the Kingfisher Yellow-crowned Night Heron pictured above. 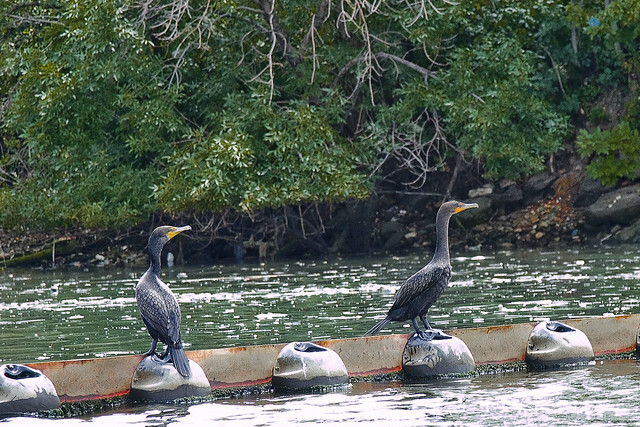 One of the more disturbing aspects of a recently announced DEP/DEC plan to install aeration wands here (to raise the levels of dissolved oxygen in the water) is that the project will most likely obliterate this colony of birds. I have personally observed fish and eels swimming in the water here, which is quite obviously what has drawn these breeding colonies of birds to the spot. Cormorants in particular are diving birds which eat fish and crabs, which indicates that there is enough oxygen in the water to support… fish and crabs. 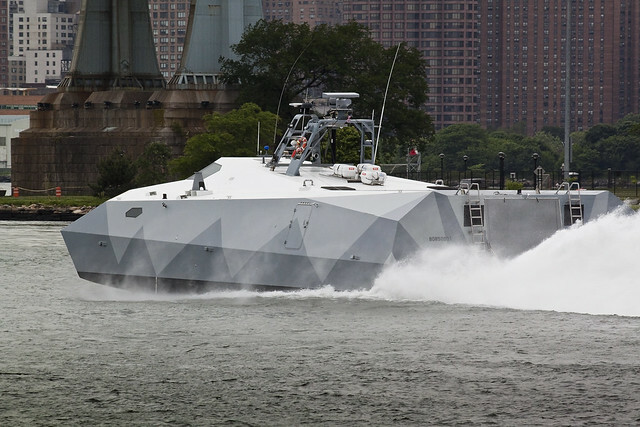 How I wish that some of the dozens of people who I’ve had the pleasure of sharing the Creek with in the last few weeks were the engineers in Albany and Manhattan who cook up these plans, but they don’t seem to be interested in coming here. In addition to important updates from our members – in particular the Bioremedition Workgroup has been very busy! 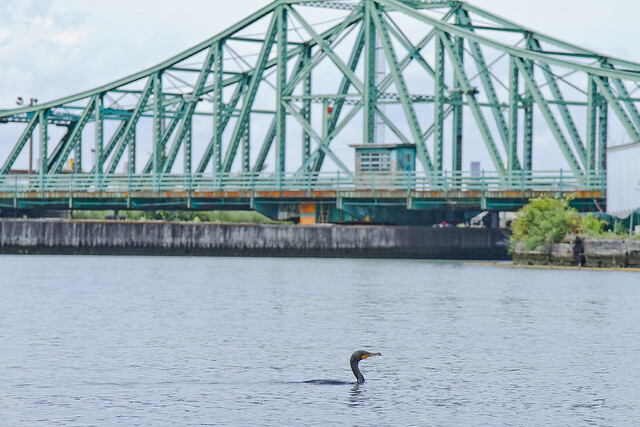 – we will be hosting a special presentation on the “Historical Ecology of Newtown Creek”. Dr. Eric Sanderson, senior conservation ecologist at the Wildlife Conservation Society and author of “Mannahatta: A Natural History of New York City” (Abrams, 2009), will describe recent studies of the historical ecology of Newtown Creek, describing the original wetlands, creek channels, topography and vegetation of the area. He will show a series of 18th and 19th century maps of the watershed of the creek and discuss the process of synthesizing them into an integrated ecological picture that can be used to inform and inspire natural restoration and cultural appreciation of the Newtown Creek watershed. This work is part of the Welikia Project (welikia.org), an investigation into the historical ecology of the five boroughs of New York City and surrounding waters. 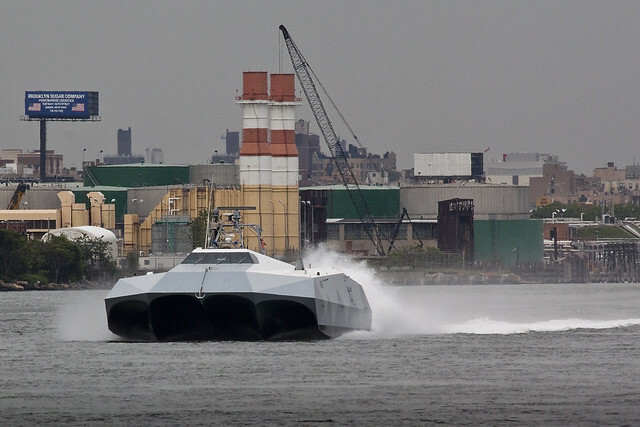 The Welikia Project on Newtown Creek is funded by The NYCEF Newtown Creek Fund of the Hudson River Foundation. Saturday April 28th, 10 a.m. Your humble narrator will be narrating humbly at this year’s Obscura Day event on April 28th, leading a walking tour of Dutch Kills. There are a few tickets left, so grab them while you can. 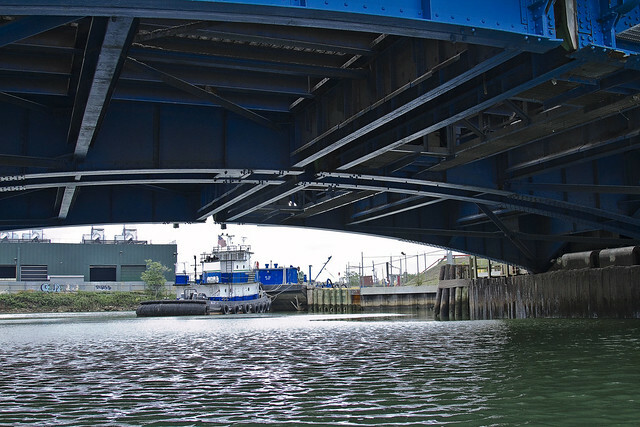 Another “Now and then” posting for you today, Lords and Ladies of Newtown, and today it’s arguably my favorite of all the bridges of Newtown Creek- the atavist Grand Street Bridge spanning the currently undefended border of Brooklyn and Queens. 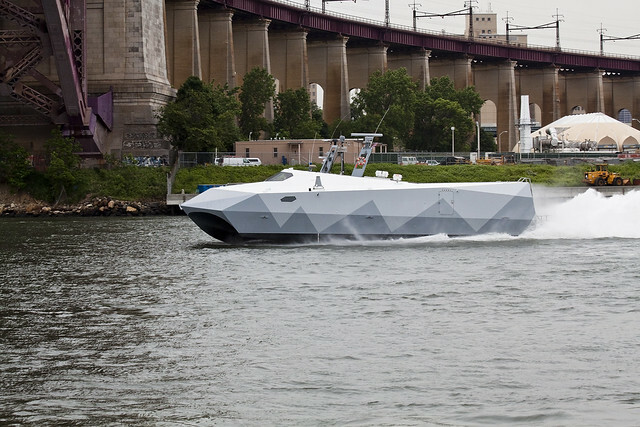 The shot above is from the water, as recreating the 1910 era shot below (from the bulkheads of the eastern brooklyn side) would require probable trespass- which in our modern day age of the Terror War might subject one to legal penalties such as exsanguination or some time spent in “the boot“. 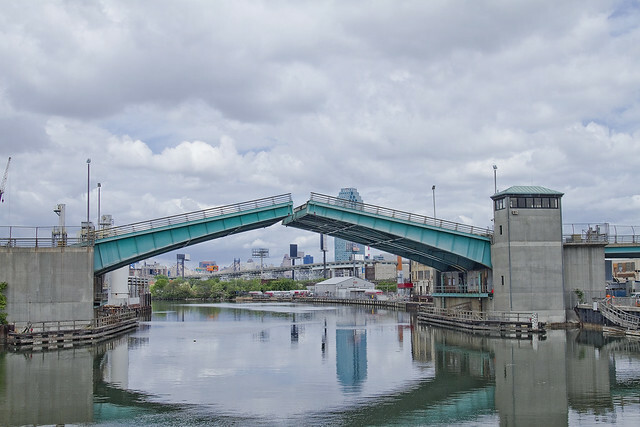 While it does seem true that the Grand Street Bridge has changed little in the intervening century, the primary difference between then and now is that it doesn’t function as a swing bridge very often these days. The stalwart engineers and mechanics of the DOT do open it for maintenance periodically, but the City has petitioned the Coast Guard to abandon such actions due to lack of industrial need and expense of operation. As mentioned in yesterday’s posting, I spend an atrocious amount of time studying century old publications and journals found on google books. These periodicals, both trade and municipal in nature, often discuss the origins of the Newtown Creek as it exists today. At the beginning of the 20th century, when the Creek was at its arguable worst (environmentally speaking), there was a popular sentiment that engineering could fix all of its problems. Hindsight suggests that they just made things worse, of course, but there’s the human condition for you. 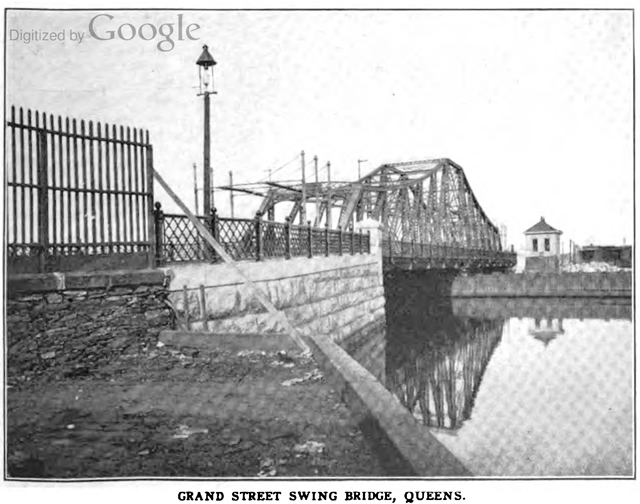 Pictured above is the Greenpoint Avenue Bridge in modernity, while below is the 1910 version. This is the bridge that burned away in the 1919 Locust Hill Oil Refinery disaster, a swing bridge not unlike the relict Grand Street Bridge found further up the Creek. Whenever such “Now and then” shots come into my hands, especially images considered to be in the public domain- they will be eagerly shared at this- your Newtown Pentacle. Dr. Eric Sanderson, senior conservation ecologist at the Wildlife Conservation Society and author of “Mannahatta: A Natural History of New York City” (Abrams, 2009), will describe recent studies of the historical ecology of Newtown Creek, describing the original wetlands, creek channels, topography and vegetation of the area. 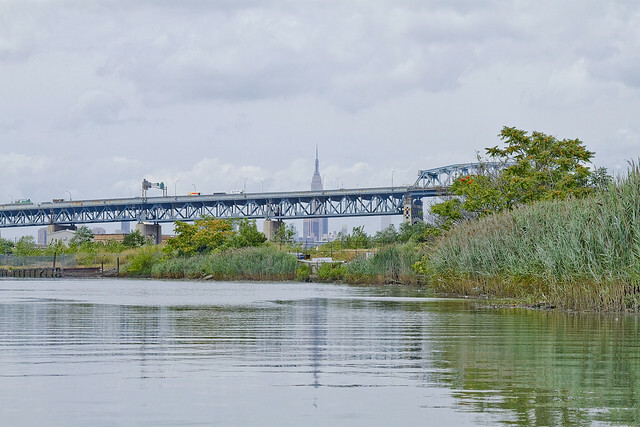 He will show a series of 18th and 19th century maps of the watershed of the creek and discuss the process of synthesizing them into an integrated ecological picture that can be used to inform and inspire natural restoration and cultural appreciation of the Newtown Creek watershed. This work is part of the Welikia Project (welikia.org), an investigation into the historical ecology of the five boroughs of New York City and surrounding waters.